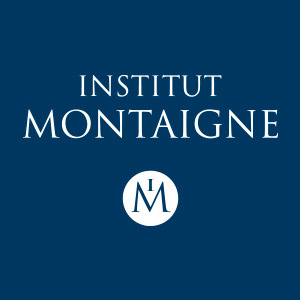 As the XXIII Olympic Winter Games open on February 9 in Pyeongchang, South Korea, Dominique Moïsi, Special Advisor to Institut Montaigne, analyses the diplomatic stakes underlying this sporting event, after a year marked by tensions between both Koreas. To what extent are the Olympic Games more than a mere international sports meeting? The Olympic Games have always carried a significant geopolitical dimension. It was already the case in Ancient Greece, when the Games were synonymous with a truce in fightings. Pierre de Coubertin then founded, at the end of the 19th century, the International Olympic Committee with the idea that the Games could pacify international relations. First, they contribute to the host country’s self-celebration and soft power. This was undoubtedly the case during the 2008 Beijing Games, which were the symbol of a newly-established Chinese power. The same goes for the Tokyo (1964) and Mexico City (1968) Games: they were both used as an opportunity to celebrate these host countries’ return on the international scene. Second, they play a role in countries’ reconciliation, following the "ping-pong diplomacy" model that allowed a revival of Sino-American relations in the 1970s. However, the opportunity provided by the Olympics can sometimes backfire on the host countries. In 1936, Nazi Germany hosted the Games and used them to celebrate the image of a new, united Germany, in which triumphs the Aryan race. However, much to the host country’s dismay, an African-American sprinter, Jesse Owens, won four Olympic titles and was crowned hero of these games. Similarly, although the 2014 Sochi Winter Games were no exception to the rule - they were indeed designed to celebrate Russia’s glory - they were later tainted by the discovery of a State-orchestrated doping system. Following this scandal, the Russian delegation was prevented from displaying its flag at the PyeongChang Games. What are the issues at stake for North and South Korea in this political thaw? The South Korean power has suffered from many political disasters in 2017, including from recurring tensions with both its neighbor, North Korea, and Trump's America. The Olympic Games represent an opportunity to draw nearer to North Korea, in order to demonstrate to its American ally that war can be avoided. Moreover, North Korea is perfectly playing along the staging of a circumstanced sacred union. The message is clear: without the West and especially Trump’s America in the way, a common ground can be found. Thus, both North and South Korea will parade together during the opening ceremony and will only form one women's ice hockey team. Yet, facing this spectacular rapprochement, let us not be naive as to the future of this so-called "sacred union". If in the United States, President Trump's statements alternate between rational speeches and provocative remarks, between the two Koreas, this provisional reconciliation is probably nothing more than an act of propaganda preceding renewed tensions. So what is the point of this rapprochement, which seems as illusory as it is ephemeral? The example of Germany, where sport has played a key role in the country’s reunification, can enlighten us. Between 1956 and 1964, athletes from East and West Germany competed together in a unified German team, while the International Olympic Committee (IOC) only recognized West Germany as the official Olympic Committee. This very team was marching behind the same flag and celebrating its medals to the sound of Beethoven's Ode to Joy (now the European anthem), rather than to both national anthems. Given Germany’s reunification process (mutual recognition in 1972, effective reunification in October 1990), all expected a similar effect to occur between the two Koreas. However, the opposite happened, since South Koreans were discouraged by the exorbitant cost of this historical step. If the two Koreas were to indeed reunify, it has always been clear to South Koreans - in the 1990s as well as in the 2010s - that it would be up to the prosperous democracy of the South to absorb the austere dictatorship of the North. Do the 2018 Winter Games call for a long-term reunification of North and South Korea? It is indeed legitimate to question the real impact of this rapprochement. Does it mirror South Korea’s will to ease tensions, or is it merely a propaganda strategy from North Korea? To be honest, the Games are but a rather artificial parenthesis and will not change anything in the short term. They could nonetheless well have a real long term impact. One can expect that the North Korean regime, aware of its weakness, will continue to vary the temperature of its relationship to the South between cold (recurring launch of ballistic missiles), and warm (active participation in the Games). On a diplomatic level, it is interesting to assess Asian powers’ viewpoints on the evolution of this conflict. Japan, for example, is concerned about this process and has criticized the use of the unified Korean flag, as islands the country claims to possess appear on this very flag. Other neighboring countries, despite the threat posed by North Korea, are no less cautious about the idea of reunification of the two Koreas. They prefer to opt for an intermediate scenario, which would include the peninsula’s denuclearization, with guarantees offered to the North Korean regime. From an American point of view, the priority is for North Korea to abandon its nuclear weapon plans. However, Washington is not able to offer a sufficient counterparty in exchange for such a renunciation. This raises the issue of the role of China, the only country truly capable of leading influential diplomacy on Pyongyang. The scenario feared by the Chinese is that of North Korea’s implosion. This would certainly lead to the presence of American soldiers on the Chinese border as well as to political, economic and migratory instability in the region.